Comment: I would like to get an estimate for installing wood stairs and railings. I need to rebuild a decrepit wooden front steps and wooden railings with balusters. Want to get a reasonably close match to balusters on the front porch. Possible addition of a short metal railing along the walkway at the back of the house. Comment: Need to rebuild decrepit wooden front steps and wooden railings with balusters. Want to get a reasonably close match to balusters on the front porch. Possible addition of a short metal railing along the walkway at the back of the house. Comment: Door frames gouged by cat in one side of several doors. Watertown Carpenters are rated 4.79 out of 5 based on 691 reviews of 45 pros. 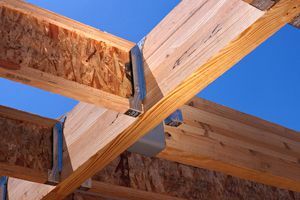 Not Looking for Carpenters Contractors in Watertown, MA?